- Measures: Width: 230 cm Depth: 059 cm Height: 220 cm Weight: 870 kg - 2 year guarantee! - Free Shipping! 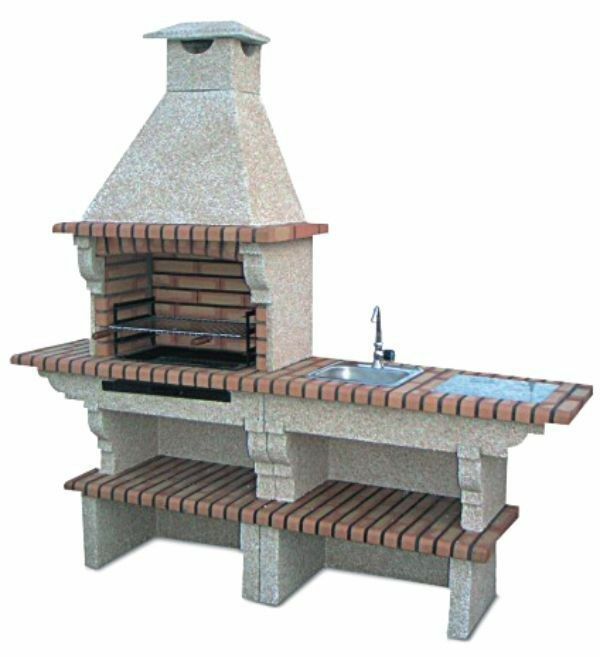 DIY Brique Barbacue Grill AV2010F Free shipping to England, metropolitan France*, Monaco, Belgium, Luxembourg, Italy and Spain. For other destinations pleasecontact us. Peel onions and cut top−to−bottom in large wedges. Cut tops from bell peppers, remove core, and cut in large top−to−bottom pieces. Trim ends from squash and cut in diagonal rounds, about 1/2" thick. Toss all vegetables in a large bowl with olive oil and seasoning, breaking up the onion wedges somewhat. Place in a single layer on a very hot grill (watch out for the flare−ups!) and grill, turning occasionally, until peppers are slightly charred and veggies are tender (about 5 minutes). Serve immediately. These are also good refrigerated, then microwaved to reheat.